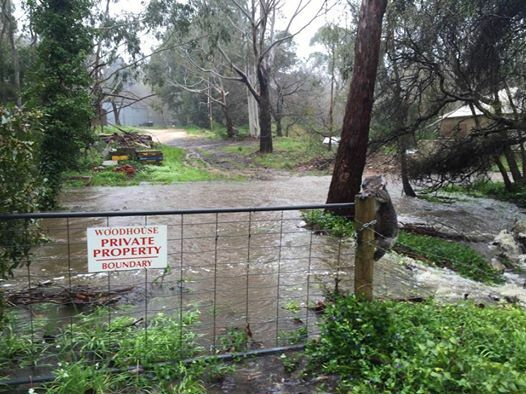 A sodden koala has become the defining image of the wet weather currently battering Victoria and Southern Australia. 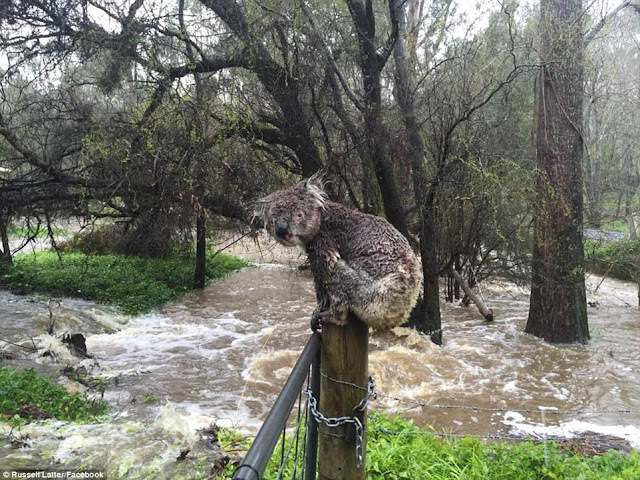 The forlorn animal was photographed crouching on a post as floodwaters rushed underneath. Emergency services have been working to rescue animals and humans affected by the heavy rain and floods. This koala was spotted and rescued by South Australian plumber Russell Latter on Wednesday afternoon as the flood waters rose in the Adelaide Hills. Over the 24-hour period, nearby areas recorded a staggering 120mm of rain. Mr Latter spoke to the BBC about how he rescued the wet koala. "He couldn't get the other side because it was flooded," he said. "So I coaxed him gently across the bridge." The koala then perched on a fence post as it decided what to do. The creature then moved across shallow floodwaters to perch up a local gum tree and "looked quite happy", according to his rescuer. "They survive out in the trees all winter when it pours, pours and pours. They do rather well." 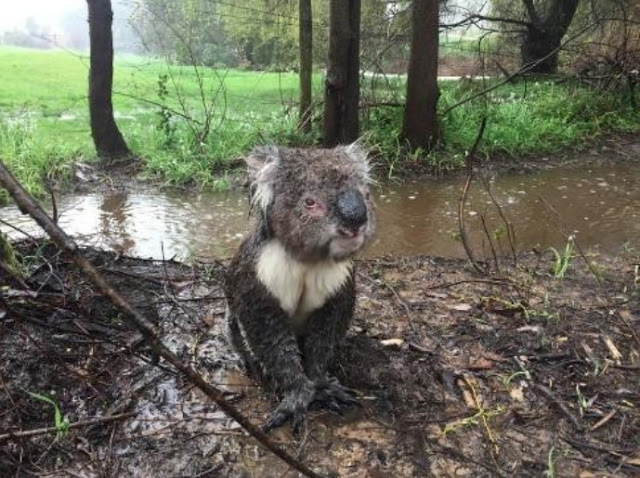 Responses to "Sad, drenched koala was spotted and rescued by South Australian plumber"